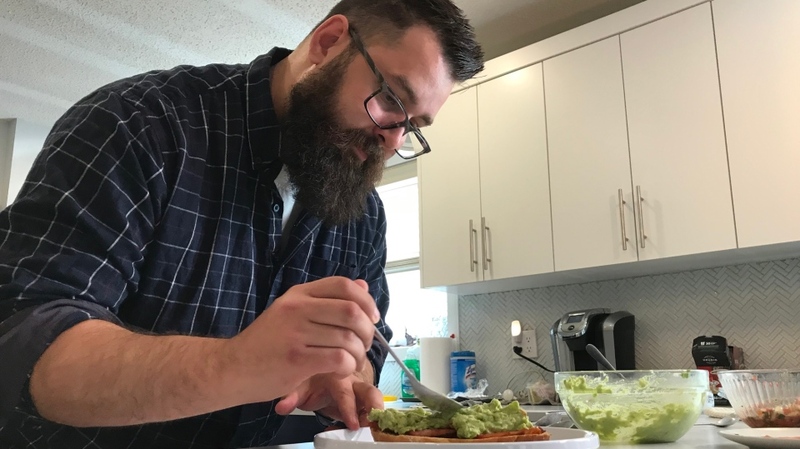 Josh Miller from Regina was one of 12 chefs to make the cut for the newest season of Master Chef Canada, and he is taking the opportunity to represent Saskatchewan. “One of the things I wanted to showcase was Saskatchewan, because it's my favourite place in Canada,” said Miller. It has been his dream for the past six year to make it onto the show, but his last five attempts were not successful. But Miller’s culinary skills progressed along with the seasons of the show. “I can't believe that this is even happening it’s like a dream come true. It's a life changing experience,” said Miller. Coming from a Ukrainian family, his love of food was ignited at a young age where he learned how to cook with his family. “Growing up I could barely see over the counter. My job was to stir things, and that's where I started. And peeking over the top, Baba would slide something over and be like 'this is your job',” said Miller. While cooking is his passion, for his day job, Miller works as a day home worker. "I work with kids that have been neglected, or maybe have some other sort of abuse issues lots of them have come from some backgrounds that aren't the greatest, and just need a helping hand," said Miller. The kids that he helps are also following along with his Master Chef journey. He said that the whole campus watched the first episode of the season. But excitement is also building for Miller’s family, as his wife Erica and his kids are following the cooking show with anticipation. "Everybody is really happy about it, and excited about it, and I think that kind of just pumps his tires a little bit more,” said Erica "It kind of puts a lot on his shoulders, and he's really carrying it well, but I know that he wants to make everybody proud and happy." Miller could not disclose how far he got in the show, but Saskatchewan residents can follow along his Master Chef journey on Monday nights on CTV. Josh Miller is one of 12 Canadian cooks trying to prove their culinary might on this season of Master Chef Canada.